To furnish the diverse requirements of our clients in the best possible manner we are involved in offering an extensive range of Angle Groove Cutter. 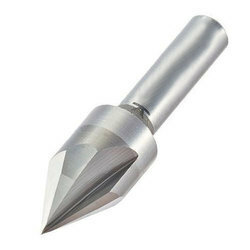 With a firm commitment to quality, our organization is engaged in manufacturing a wide ambit of Groove Cutter. Water tank capacity: 40 ltrs. Blades used: 14" to 16"
We are engaged in manufacturing a supreme array of V Groove Cutter that is widely acclaimed by our prestigious clients. We have gained formidable industry experience of manufacturing a superior range of Grinding Machines and Cutting Tools that are manufactured from the highest-grade raw materials under rigid quality controls. Blade Diameter Option: 14" / 15" / 16"
We are presenting Angle Groove Cutter from our wide range of Premium Wood Working Cutting Tools. Our products are robustly designed and can withstand extreme working conditions. We maintain rigid quality controls and manufacture these in accordance with the set norms of the industry. Our company has gained name and fame in presenting Grooving Cutter. 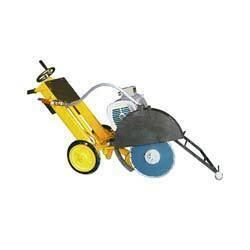 We offer groove cutting machine is ideal equipment for cutting the hard concrete for expansion joints. Dummy joints. Power: 7.5 H.P, 3 phase, 2900 R.P.M. Electric Motor. Arrangement for water circulation is provided. perfect groove cutter is a compact mnachine which is used for cutting concrete groove. It's compact design makes it easy to transport. vibrations are negligiable due to the design and outer vibrating pads.